Integrated open dialog with custom favorite folders. 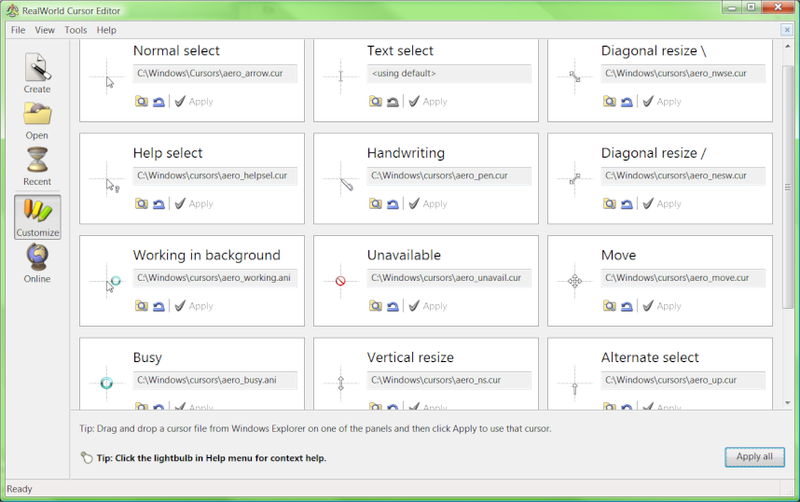 Customizable windows layout, toolbars, and menu. The "Create New" page of the initial application window helps in creating new cursors or images and when converting images to cursors. 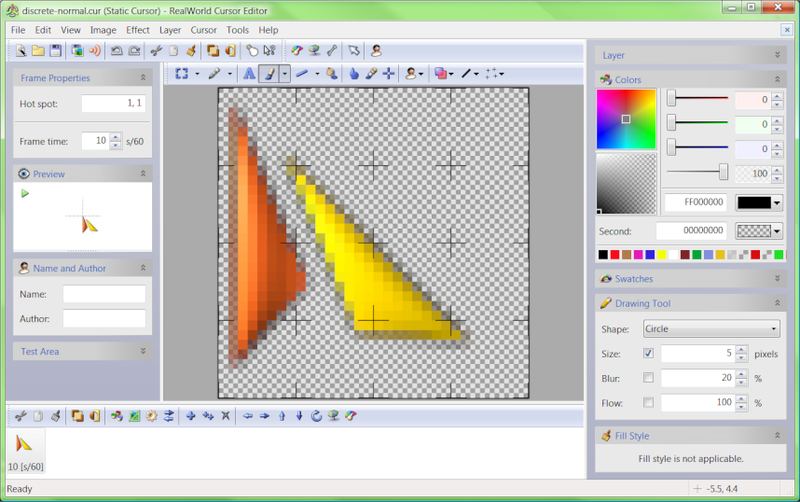 Cursor image can be modified using drawing tools or filters. Drawing tools Freehand, Line, Curve, Ellipse, Rectangle, Flood fill and more. Simple filters Brightness, Contrast, Gamma, Rotation, Mirror, Flip. 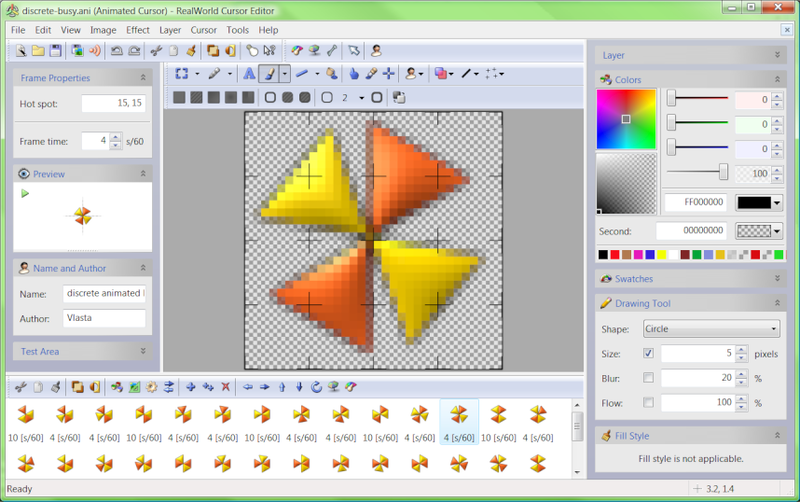 Advanced filters Sharpen, Blurr, Bevel, Drop Shadow, etc. Reorder frames by drag and drop. 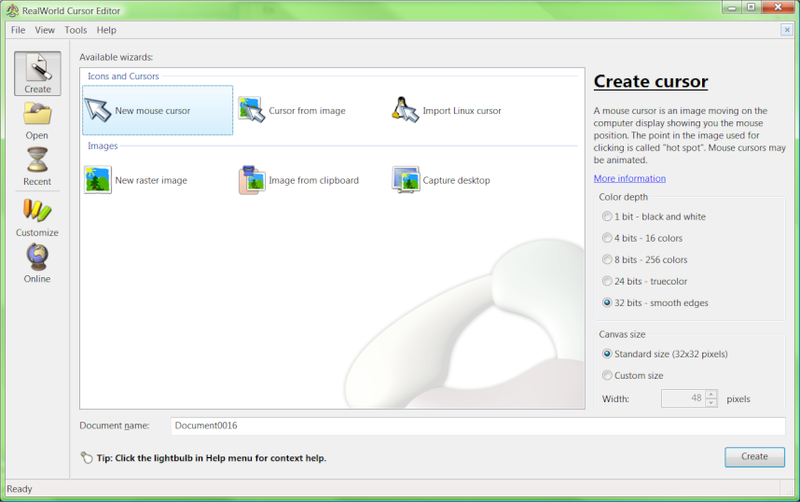 Duplicate frames using clipboard or drag and drop and CTRL key. Run filter on all selected frames. Each frame of an animated cursor can be edited using the same means like static cursors. Frames can be moved, copied, deleted and batch-processed. Drag and drop cursors on panels representing cursor roles. Set currently opened cursor as active cursor for selected role.